We are the leading Smart Shop chain and wholesale in the Netherlands. Over the years we have welcomed millions of satisfied customers, both local and international. In order to serve you even better, we have opened our online store in January 2004. You can order all our smart products, dietary supplements and souvenirs with the same great service and quality you're used to from us. Please note that we DO NOT SELL ILLEGAL PRODUCTS. 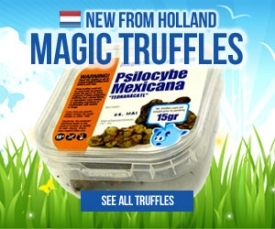 All products sold are legal in the Netherlands. We DO NOT ship to the U.S.A. No sale to minors. Please check our terms and conditions. If you cannot access your account or forgot your password. Fill out your e-mail address below to reset your password.